What socks a guy wears on his feet is a matter of personal preference. Some guys like plain solid colors while others prefer mushrooms and spaceships to pattern their socks. 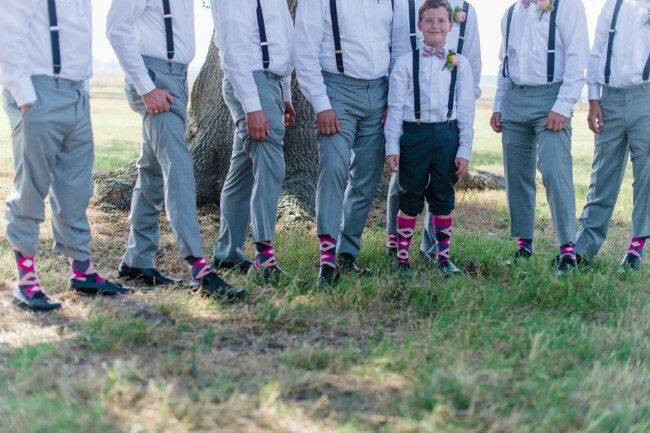 In any event, no one is going to know what socks a groom or groomsmen are wearing unless they hike up their pant legs and show off some cotton! 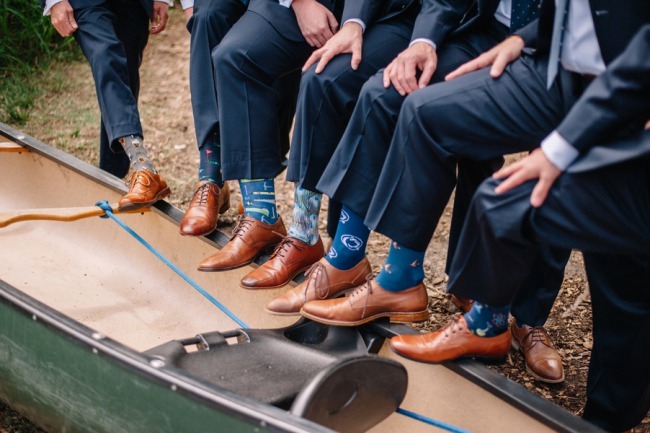 With that mental image firmly planted, let’s take a look at why you should consider fun groomsmen socks for the big day, along with some of our personal favorites. One of the best parts of the wedding day – apart from marrying your true love – is spending time with your nearest and dearest to celebrate. In particular, what would your day be without your groomsmen? They’re your best mates that’ll stick with you through thick and thin. On the big day, chances are it will be your groomsmen who make sure you don’t get too nervous by having a few laughs. 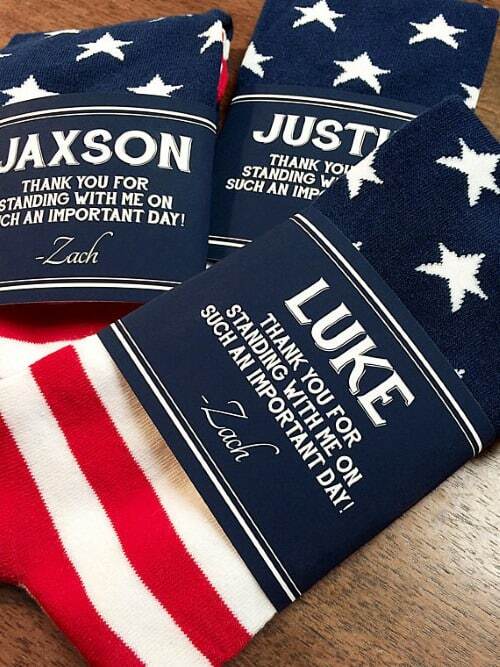 So how could you thank them for all their support — how about some fun groomsmen socks!? Go ahead and give your groomsmen some kudos and attaboys. 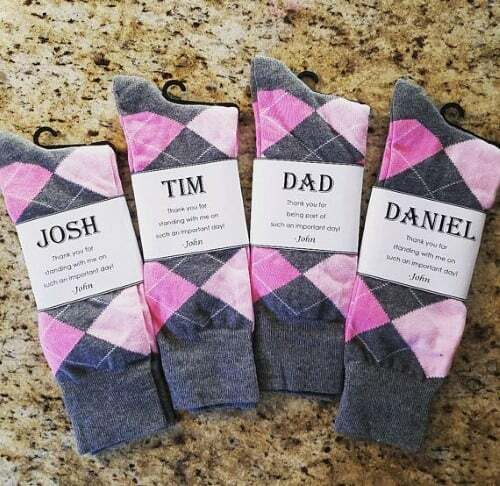 Whether you have the message sewn onto the socks themselves or you provide a special message with the gift, we think this sock idea is great! 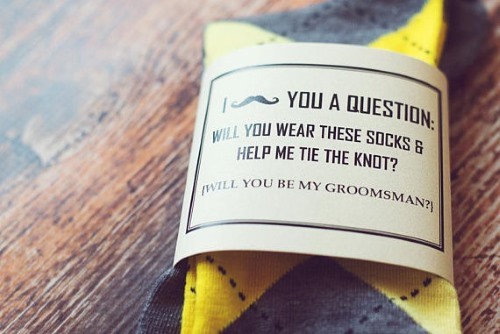 These socks are especially wrapped with whatever you want to put on the packaging – whether a thank you, an inside joke, or the date of the wedding, nothing beats something personal and from the heart! 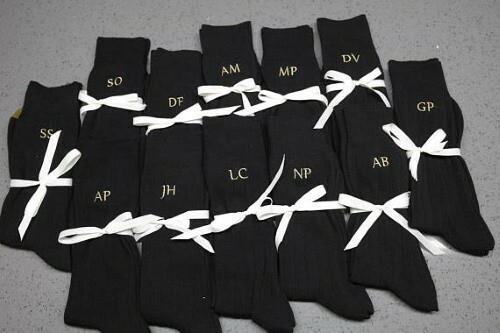 If you want to go for something a little more understated, these monogrammed socks for your groomsmen are less about the wedding and more about them. 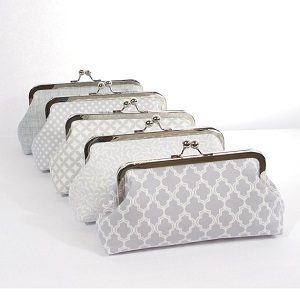 You could even buy a pair for yourself so you’re all matching on the big day. If you want a retro feel, the socks above look like something straight out of an 80s video game! Of course, you can customize the writing to feature anything from the groomsmens’ names to the date of wedding, and even better – you can choose the superheroes! This ones more of a nod to one of the biggest/best online sock stores around. 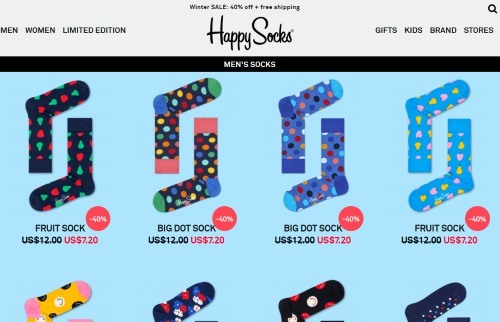 HappySocks often has some great sales where you can snag some pretty neat patterned socks for you and your groomsmen. 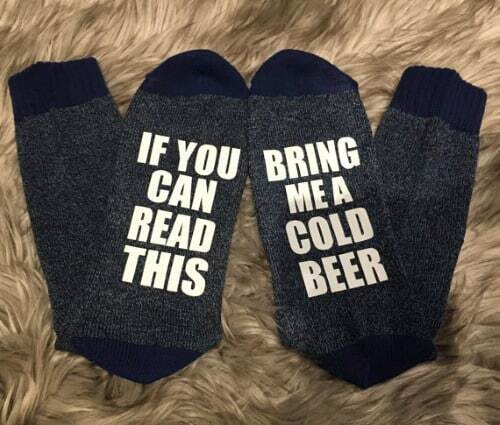 Good ol’ beer joke socks. 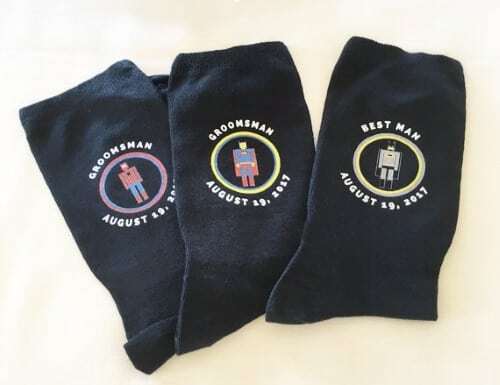 Although these are a great gift for Father’s Day or a birthday, we think they could make awesome socks for a wedding photo too — you and your groomsmen sitting with a beverage, showing off these hilarious socks! 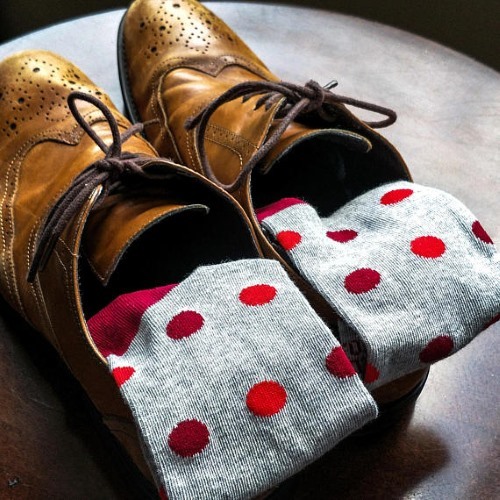 Polka dot socks are snazzy for your wedding day, and afterwards! These socks are a lovely combination of bright blue with navy polka dots and yellow detailing to suit all sorts of shoe colors – making them a good option. You can even get the labels personalized for each of your groomsmen and write a special message. 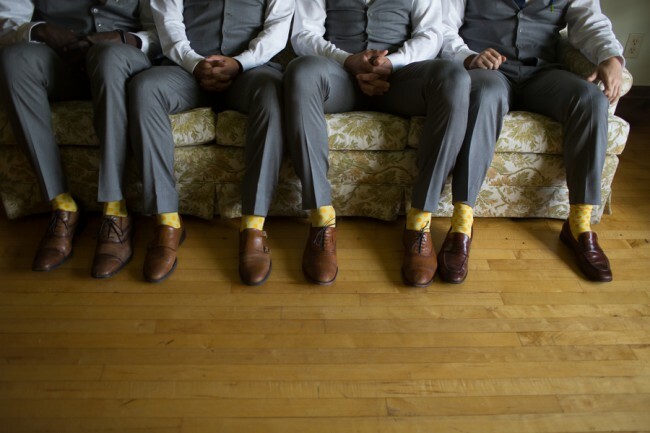 Argyle socks are one of the first sock types that comes to mind when thinking about matching up groomsmen socks. They are traditional, yet suit all ages. Plus, they can be subtly colorful. This set is magenta and pale pink, so whether they are the colors of your blushing bride, or you want something that will stand out from underneath that black suit, pink’s the way to go! We love this pair – not only for their argyle print but also for the pun. Such a funny note will be treasured, along with the socks, and make the day even more memorable! Plus, in a sunny yellow, they will brighten up the day, even after a few mishaps! 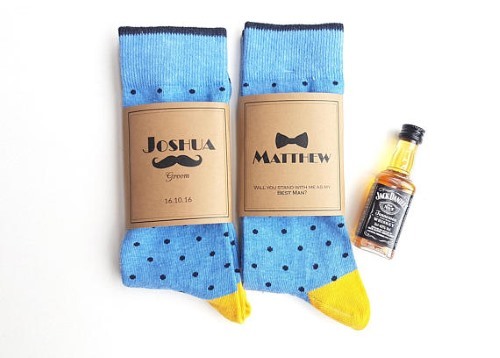 So there you have it, our top picks for the best groomsmen socks out there! Now get matching with your groomsmen and create some amazing photos guys! 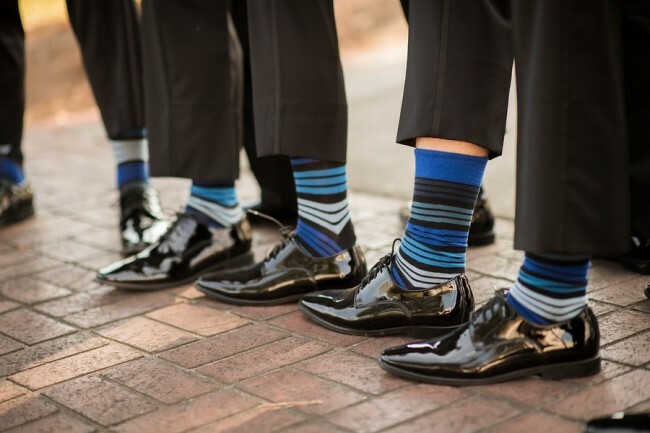 Should all of the groomsmen have the same funky socks or a mismatched look? I think it either one works well. 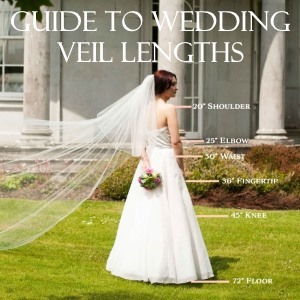 Look around at a few real weddings to get some ideas of the look you like best. I tend to gravitate to order and symmetry, so my personal preference would be to go with sharp looking socks (argyle is a fav), that all match. Paired with well shined matching shoes, the look is one that you could post on Instagram!